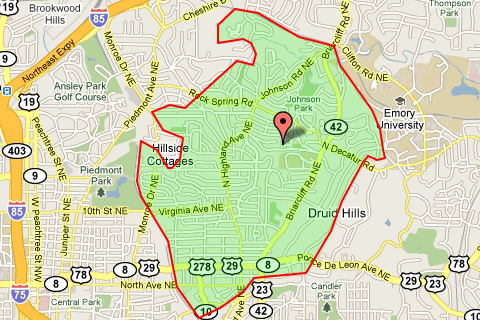 Zip code 30306 is located in Intown Atlanta, east of Midtown. The two most well-known neighborhoods in zip code 30306 are Virginia-Highland and Morningside, but 30306 also includes portions of Druid Hills, Poncey-Highland, a number of smaller neighborhoods, in addition to several condo complexes. The condos in zip code 30306 are typically more traditional in style, compared to the high-rises of Midtown and Buckhead. Condos in 30306 can range from under $100,000 to nearly $1 Million, while single-family homes typically range from around $200,000 to over $2 Million. The above search results are from FMLS. Try this search in GAMLS.